The lives of a sixteen-year-old Nigerian orphan and a well-off British woman collide in this page-turning #1 New York Times bestseller, book club favorite, and "affecting story of human triumph" (The New York Times Book Review) from Chris Cleave, author of Gold and Everyone Brave Is Forgiven. "...[an] immensely readable and moving second novel... The character and voice of Little Bee reveal Cleave at his finest... An affecting story of human triumph." "Book clubs in search of the next Kite Runner need look no further than this astonishing, flawless novel... Cleave (Incendiary) effortlessly moves between alternating viewpoints with lucid, poignant prose and the occasional lighter note. A tension-filled dramatic ending and plenty of moral dilemmas add up to a satisfying, emotional read." "Utterly enthralling page-turner...Novelist Cleave does a brilliant job of making both characters not only believable but memorable....These compelling voices grip the reader's heart and do not let go even after the book's hyper-tense final page. 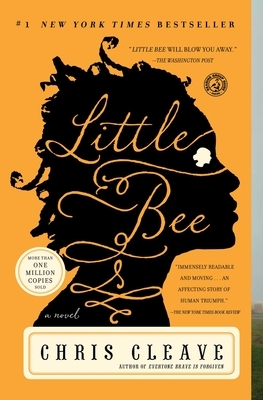 Little Bee is a harrowing and heartening marvel of a novel." "Every now and then, you come across a character in a book whose personality is so salient and whose story carries such devastating emotional force it's as if she becomes a fixed part of your consciousness. So it is with the charmingly named title character in Chris Cleave's brilliant and unforgettable Little Bee..."
"Cleave has a Zola-esque ability to write big and deeply....[he] makes the reader think about political issues and care about his characters." "The voice that speaks from the first page of Chris Cleave's Little Bee is one you might never have heard -- the voice of a smart, wary, heartsick immigrant scarred by the terrors of her past....Read this urgent and wryly funny novel for its insights into simple humanity, the force that can disarm fear." "...Little Bee is a loud shout of talent." "Vividly memorable and provocative...heartwarming and heartbreaking...Cleave paces the story beautifully, lacing it with wit, compassion, and, even at the darkest moments, a searing ray of hope."